As you may have heard, Jordan Brand is getting back to the basics with a high end twist for 2015. The Brand is releasing some of their most infamous retro silhouettes remastered in premium materials, like the good ole days. Since the new, more luxurious sneakers are going to be dropping soon, Jordan Brand couldn't have the shoes come out in just any old boxes so they're upgraded their boxes. In keeping with the black, gold and white theme Jordan Brand has been playing with for the last few years - and used in their new Flight23 stores. 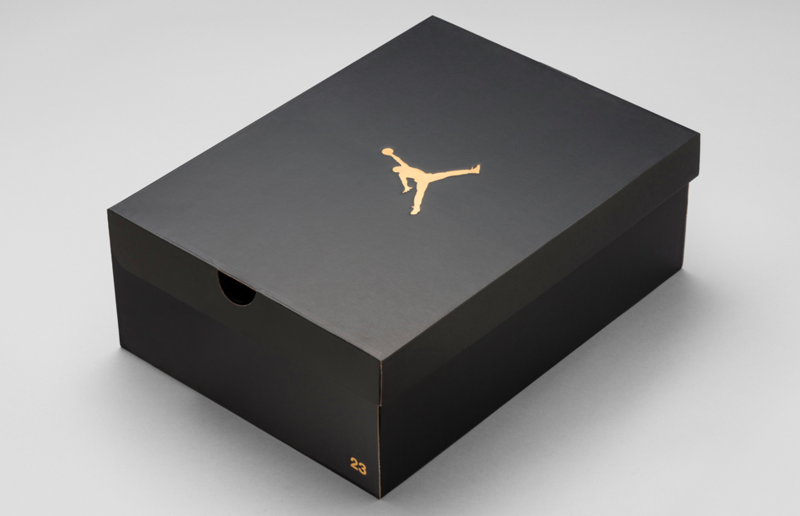 The redesigned boxes are black with gold embossed Jumpman and "23" insignia on the exterior. 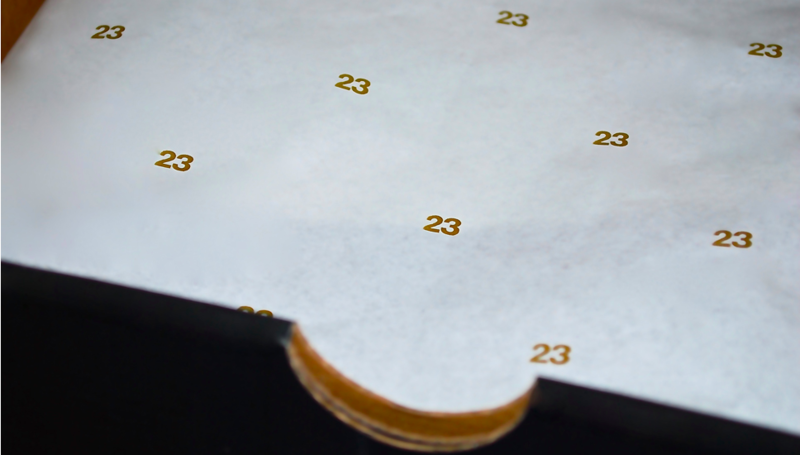 The interior features natural cardboard with white tissue paper that is marked with the number twenty-three. The brand new boxes arrive beginning in 2015 and will be used for both retro and new performance releases. No word yet if the GS release will get the black boxes as well. What do you think of the new Jordan boxes and creative direction? Is it fitting with the new premium image and price tag or is it just more hype? Let me know what you think.